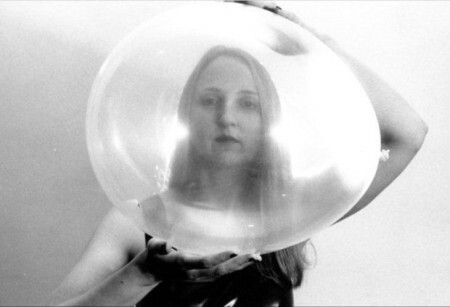 Judy Dunaway performs avant-garde compositions and free improvisations on amplified latex balloons played as musical instruments. She is known internationally as a “virtuoso of the balloon.” She plays a variety of shapes and sizes of balloon instruments, each with it’s own special qualities, pushing the extremes of both pitch range and artistic limits. Her large rubbed “tenor” balloon gives Jimmy Hendrix’s guitar a run for the money and her giant balloon pulsates into the depths of the subaudio. Her abstract music and sounds are difficult to equate with other forms, depending upon the perception of the individual like the images seen in fire or clouds. Dunaway has presented her balloon works at many major venues, festivals, museums and galleries internationally. She has performed as a balloon player in compositions by John Zorn and Roscoe Mitchell, and in improvisations and/or collaborations with the FLUX Quartet, performance artist Annie Sprinkle, vocalist Jennifer Walshe, visual artists Nancy Davidson and Ken Butler, percussionist John Hollenbeck, Fluxus sound artist Yasunao Tone, and numerous others. CDs of her works for balloons have been released on the CRI (Composers Recordings Inc) and Innova labels, among others. Watch video of Judy Dunaway. Seattle treasure Susie Kozawa performs using her trademark collection of homemade instruments, toys, and found objects, joined by subtle flutist Esther Sugai.